Deutsches Haus Ho Chi Minh City is an award-winning, pioneering, premium international Grade A+ Office Tower. Deutsches Haus Ho Chi Minh City is a pioneering premium Grade A+ Office Tower strategically located on the corner of Le Duan Street and Le Van Huu Street in the heart of Ho Chi Minh City. The 25-storey building consists of approximately 30,000 net square meters of prime office real estate. Deutsches Haus Ho Chi Minh City has all modern state-of-the-art facilities and services one would expect from a centrally located premium Grade A+ Office Building. 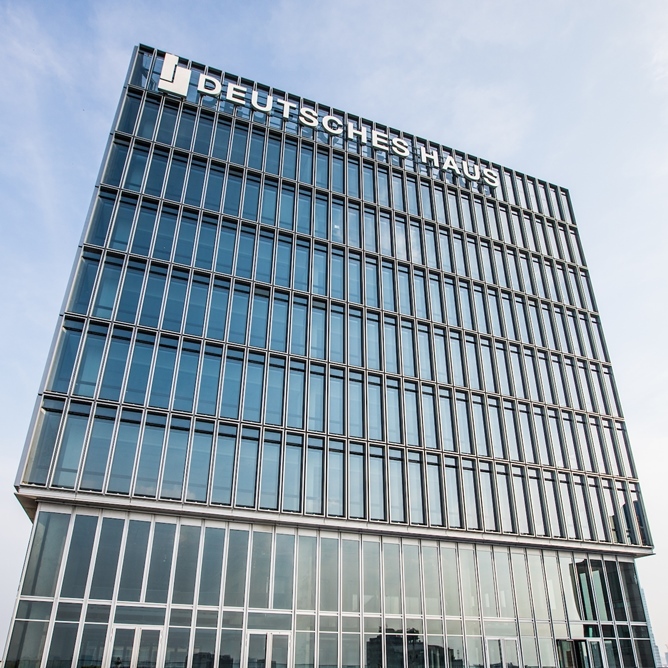 The building is home to the Consulate General of the Federal Republic of Germany, making it the destination for German companies and promoting German and Vietnamese relations. Modern German technology coupled with a high degree of sustainability are providing innovative commercial office space of exceptional quality.